Last year, D23 offered a special ‘Disneyland Off the Map‘ event to a select number of its members, in which guests were invited to see some of Disneyland’s most iconic spots that are usually off-limits to the general public. 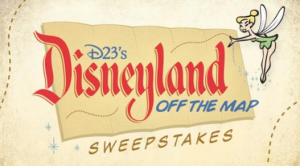 Due to the event’s overwhelming popularity, the event will return this year as a sweepstakes, with the winning guests earning a spot on this truly one-of-a-kind tour. Taking place on October 2, the Disneyland Off the Map experience will take guests on an exclusive tour of Disneyland, on which they’ll visit Walt Disney’s apartment on Main Street USA, the Lilly Belle VIP Car Parlor on the Disneyland Railroad, the Circle D Ranch where Disneyland’s animals are kept, and the Disneyland Dream Suite. To enter the sweepstakes and for more information, visit the official event page here. 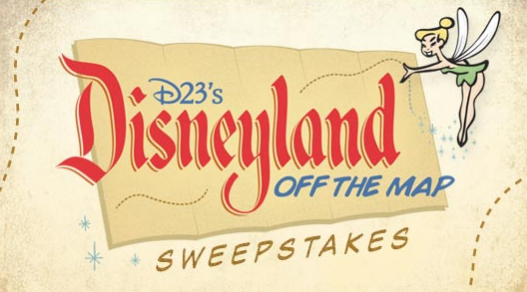 D23 members may enter the sweepstakes any time between now and August 23, 2013.